International model Gigi Hadid and Zayn Malik are together again. Gigi just can't stop herself from posting pictures with her ex on Instagram. They publicly broke up in March, but that doesn't seem like the case anymore. We have a few Instagram stories to thank for giving away some major clues. 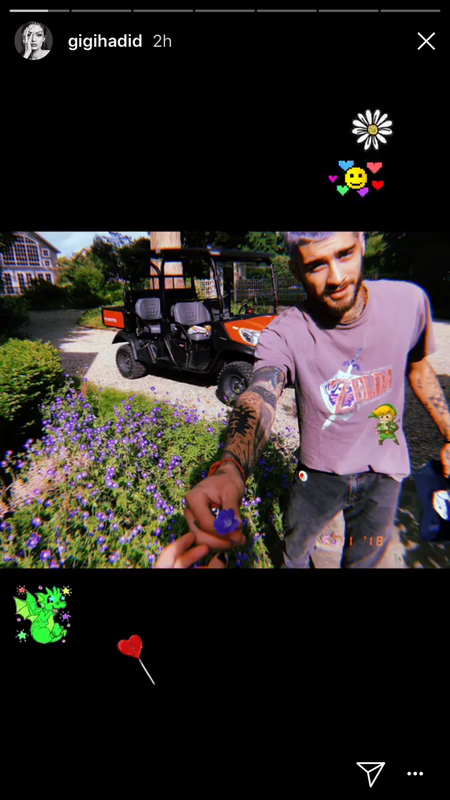 Gigi posted a Instagram story today, and surprised her followers with another post of her ex, who hands her a flower in the photo. The model even decorated the pic with heart stickers, so you know it's real. 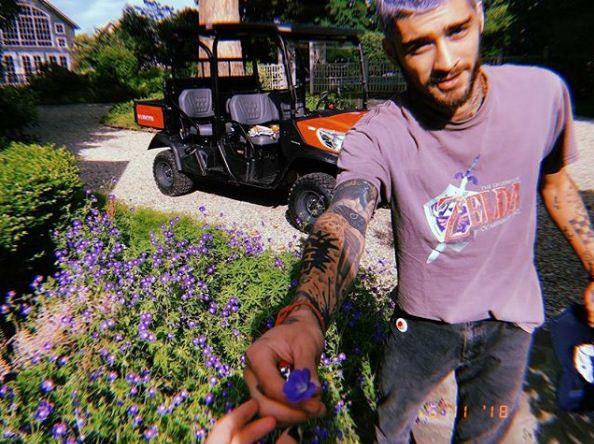 The image also seems to have been taken at Hadid's family farm (she posted photos with her horses shortly after), which means this wasn't some quick and casual run-in with Malik; it was a sweet, planned hangout. After attending the Ocean's 8 premiere last week, Gigi showed teased her "after party": cuddles and Pokemon on the couch with her man. Zayn's face isn't in the shot, but his recognizable blonde hair and tattoos made an appearance. This also marked the first time the couple became "Instagram official" (again) following their breakup in March. After the split, at the end of April, they were seen out in NYC together, and they snuck in a kiss during the outing. Shortly after photos of their kiss circulated, a source confirmed the obvious to E! News: "Zayn really wants to be with [Gigi] and has made it clear. He misses her and can't stand being apart." But the feeling weren't entirely mutual. "Gigi's a little bit more hesitant," the insider added. However, considering the recent Instagram posts from the model, we're not sure that's the case anymore. Zayn was seen leaving Gigi's apartment—in the same clothes from the day before. To top it all off, Malik was seen entering and leaving his ex's NYC apartment in the same hoodie, which some fans took to be a very telling clue. This sighting was just a little over a month after he and Hadid announced their split. Also Read: Zayn Malik and Gigi Hadid caught making out in NYC; Are they back together?